The order of these posts has gotten a little out of chronological order, but last weekend BotF got to experience a new bar and a new beer. The only problem is that the iPhone is not the greatest night time camera. 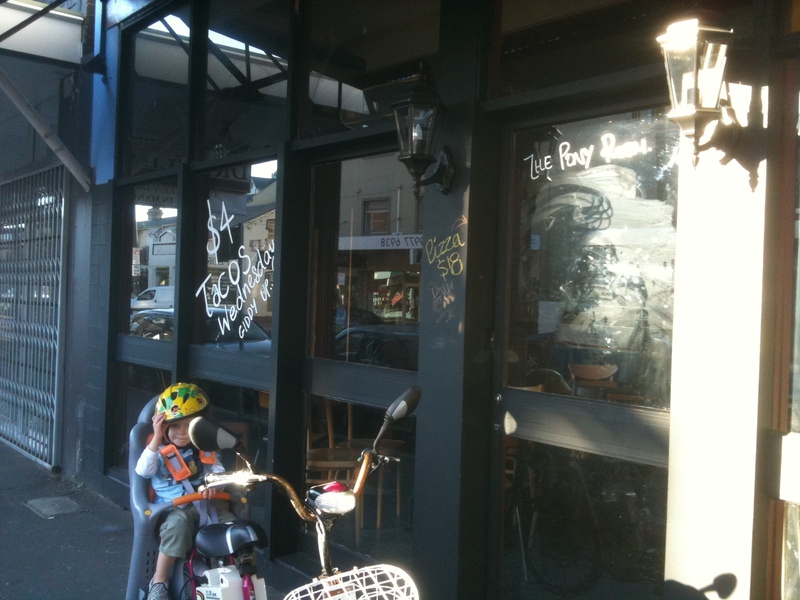 I did pop down to the bar to at least get a day time photo to help you recognise it. 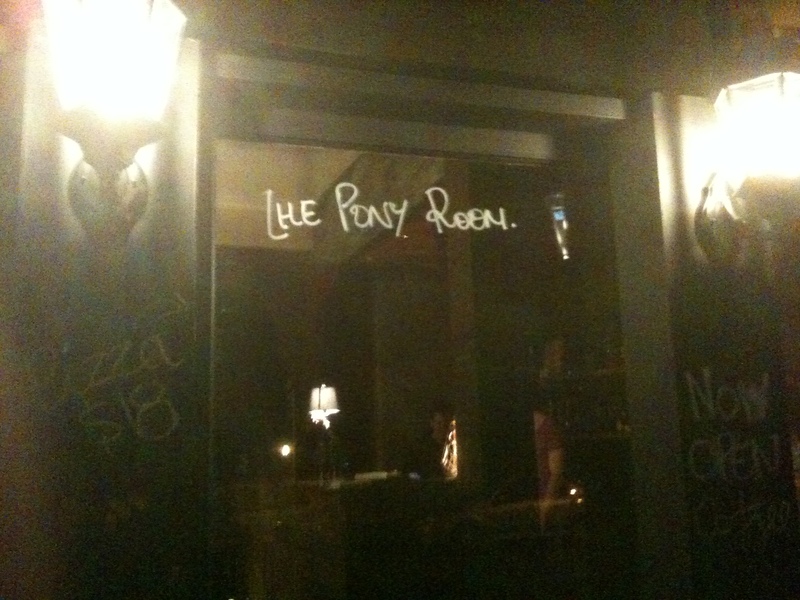 The Pony Room occupies the site of an old Indian Restaurant – the Chili Chimney on Pittwater Road. This is on the same side of the road as Safety Wolf, but on the Northern Side of the Raglan Street intersection. The new premises offer a much larger space that the old Safety Wolf, which was operated by the same blokes that run this joint. That makes for more room for the owners to place the eclectic furniture that they seem drawn too. There is a old wagon wheel hung from the ceiling, copperart on the walls etc. The beer list is really simple, with 4 types of Monteiths and two others and there is a short range of cocktails. THe food is also straight to the point. $18 pizzas with simple toppings (Chorizo and Mushroom for example). The $4 fish tacos on Wednesday are still available, and the owner told me that he is now pumping out twice as much as he did at Safety Wolf. Tony from Toowoomba, who accompanied me with our respective DSEs – was most impressed. Safety Wolf has a worth successor. TfT and BotF were equally impressed with our choice of beer with dinner. 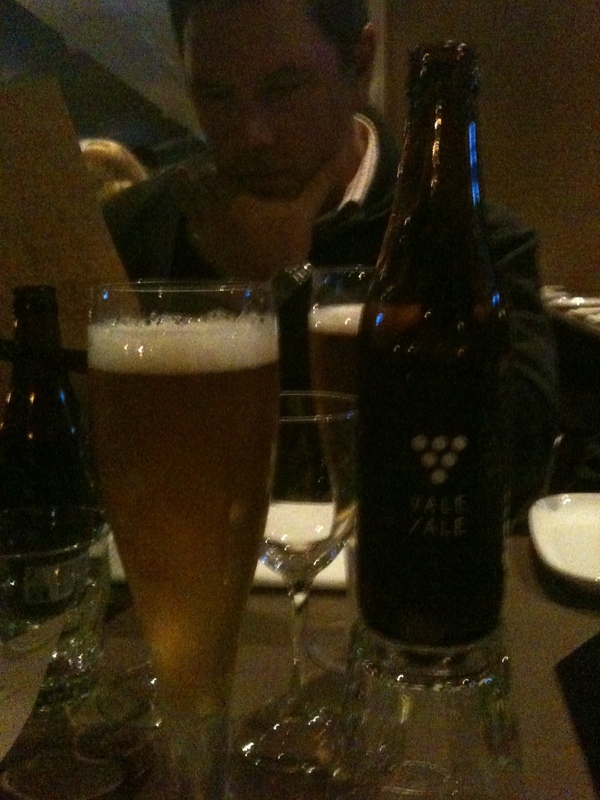 Garfish offered a Vale Ale as one of the choices, and what a beer. The cloudy pour augured well, but we weren’t prepared for the assault on the taste buds. This is such a sharp flavourful beer with a great enduring bitter after taste. This is a ripper of a beer. Could not agree more with BoTf in regard to comments about Vale Ale; a most impressive and surprising drop. The website description is particularly apt “as complex as a wine from the region”. “Cloudy from bottle conditioning with live yeast cells” might be stretching the appearance description just a little but none the less members should do themselves a favour …….